PMMRAC have 7 Directors – Maureen Kelly OAM, Alana Lockyer, June Tullock, Natalie Parker, Linda Parker, Donny Wilson, Clarrie Robinson. PMMRAC have 1 Honorary Lifetime Member - Lindsay Lockyer. The CEO, Rachael Green - Rachael has extensive experience in a leadership role having managed her own business for many years. Rachael has a particularly strong focus on finance and keeps everyone accountable. She has strong commercial/business acumen and has led the organisation through its largest growth phase, reinvesting profits to achieve the objectives of the Corporation. She has three Diplomas (i) Property Management; (ii) Management; and (iii) Project Management. These skill sets have allowed her to grow into an accomplished leader with vision. The CODO, Dee Broadmore – Dee has 35 years’ experience in the Corporate arena before moving into the not for profit sector. Dee is an integration expert with a strong commercial focus. Her legal background underpins her ability to negotiate contracts and agreements. Over the last 10 years she has advised Boards and Senior Management Groups on Resource Planning and Retention together with business development, strategic marketing, process creation and information management. Dee has in her career developed business models and built effective and efficient teams in sales, service, consulting and operations. She is an advocate for development and change, having implemented numerous strategies to manage change at a people and organisational level. Dee is tertiary educated in Resource Planning and Organisational Change together with Australian Business Institute qualifications in business administration and change management. The CFO, Nikkii Puertollano – Nikkii brings to the organisation a wealth of experience having worked her way up through various roles in the organisation to her current role to date over a 6 year span. Nikkii has an in-depth understanding of contract reporting and has a Diploma in Business Administration. The COO, Graeme Thomas – Graeme, an Electrician by trade has overall responsibility for Government Services operations. Graeme has over 35 years’ experience in construction and maintenance for the mining and petroleum sectors with significant experience in project management spanning 25 years. Graeme has worked on a number of projects within BHP including the delivery of the Port Growth Project and has received recognition for his work with Voltage Reducing Devices for Electric Arc Welders and providing safe electrical systems for working internally on Hydrogen Arc Welders. We have a two managers and experienced trades personnel involved in delivering the services we provide and to maintain our high standards, we have invested heavily in our personnel who are all part of a committed ongoing training programme. PMMRAC has grown steadily over the last 21 years and now employs over 70 people of which more than half are in the service departments. Business today is about diversification, good relations and partnership opportunities which reduces costs, increases efficiencies and enables business to refocus critical resources. 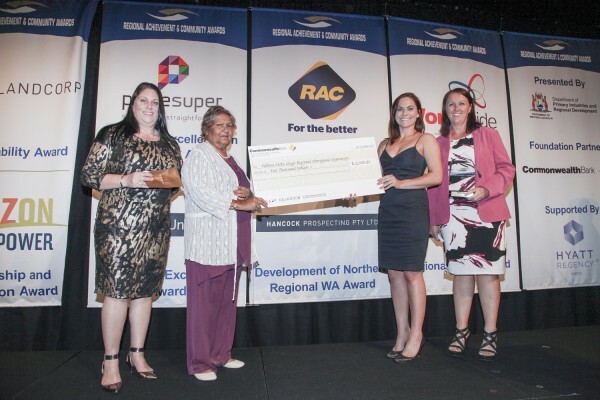 Now is the time for you to build relationships with an Aboriginal organisation that has a range of skillsets that support your business throughout the Pilbara which, in turn, would enable you to become even more effective and efficient.